A quick story before this week’s Movie Church review: when I was an intern at Fullerton Evangelical Free Church, a pastor on the staff, Gary Richmond, told a story on himself. Seems he was teaching on materialism and made the bold statement that if someone was really trying to follow Christ, that person shouldn’t be driving a Mercedes. Shortly after that, Gary’s car died. A generous person in the congregation offered Gary a replacement: a worn and battered Mercedes. Which Gary then drove. There is a strange undercurrent of materialism throughout the film. 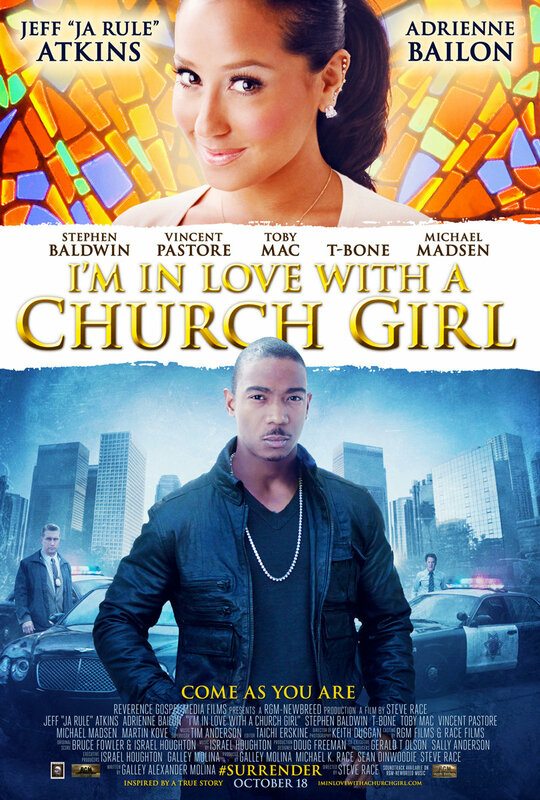 The "church girl" of the film, Vanessa (Adrienne Bailon), is portrayed as epitome of Godliness, but she is obviously drawn by Miles's car and mansion. When Miles gives her a ride on a private jet for her birthday, shes give no thought to what the money spent on the trip could do to stock the pantry of a soup kitchen or buy goats for a destitute family in Guinea-Bissau. Perhaps part of the reason for this is her pastor's example and the wealth of those in her church Bible study. 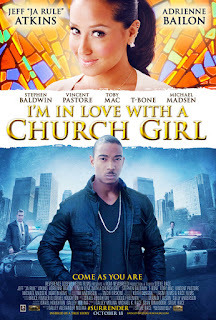 After a great deal of drama between Vanessa and Miles, including a coma for Vanessa and questioning from the police for Miles, the couple returns to church. The pastor says “Good morning, Church,” and reads about trials from James 1. He points to the example of Vanessa and her family. After a very brief sermon, the pastor has an altar call, and Miles is the sole person who comes forward. There is one other church talked about in the film. Miles was dragged by his mother to a Catholic church growing up. He says he was bored every Sunday, the music was horrible, the service was gloomy, and he was spooked by the statues and pictures. No mention is made about what kind of ride the priest drove back in the day.